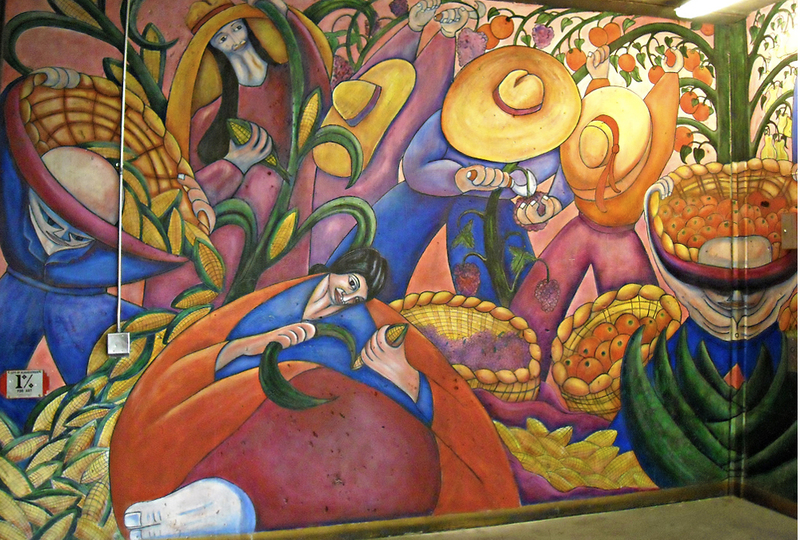 Painted in the traditional Mexican mural style with exaggerated bustling forms, this mural honors the farmer’s market at one time located at 4th and Copper Ave. It depicts the harvest of corn, grapes and oranges, which cares for bodily needs and nurtures the mind. Gilberto Guzman grew up in East Los Angeles and began working as an artist at age 22. He attended the San Francisco Academy of Art and moved to Santa Fe, NM, in 1970. He was named a Living Treasure in Santa Fe during his career.